Good listening skills are obviously important but how do we strengthen them? 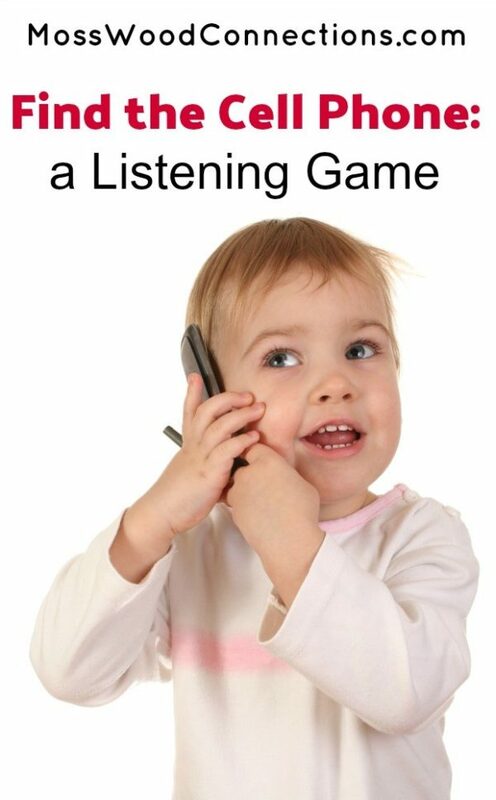 Finding games that exercise their listening skills while still being engaging for the child can be challenging. 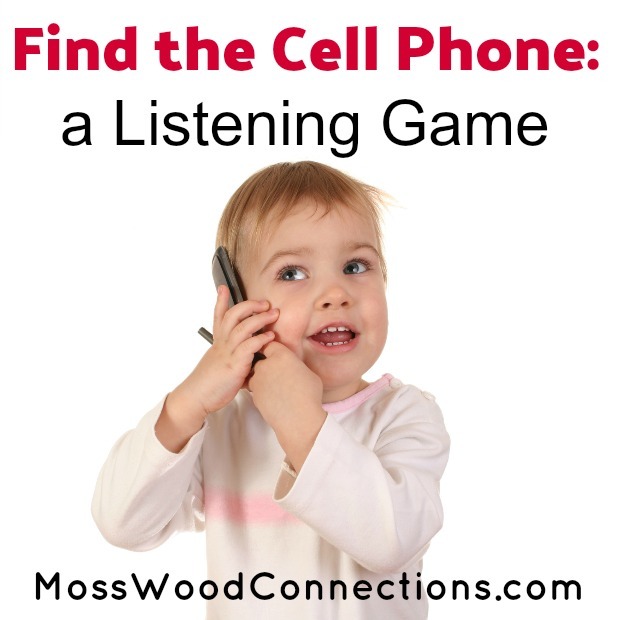 This listening game tickled my son so much that he asked for it again and again. It’s an amazingly simple activity that anyone with a cell phone can do. If there is anyone out there who does not have a cell phone you could use anything that makes noise. 2 Cell phones or 1 cell phone with an alarm or 1 cell phone and one landline. If you have 2 cell phones there are a few ways to play. Hide a cell phone. Call the phone repeatedly until the child can find the phone. Then have the child hide the cell phone and call until you find it. This will add in phone calling skills. Set the alarms on both phones but set the alert tones to sound different. Let the child listen to both alert tones, try to find ones that are quite different. Choose one alert tone that is the target. For example, one alert tone sounds like chimes and the other is part of a song, you choose the chimes alert as the target. Set the alarms to go off in a few minutes. Hide both phones in different places. When the alarms go off the child will try to find the phone with the chimes alert by following the sound. *Note: Many children have auditory sensitivities, choose ringtones that they will like. You can also play with loud and soft sounds. Set one alert tone to a low volume and the other alert tone to a loud volume. Choose which one is the target: loud or soft (low) and when the alert goes off listen for the targeted alert tone. 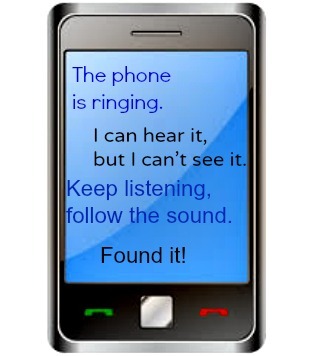 If you choose to look for the low volume phone it may be challenging but it will have the added benefit of exercising auditory discrimination. Set the alarm and hide the phone. Hide it in unexpected places. Have fun finding the phone!